No question about it… There is a mountain of reasons to be worried about the South African stock market. Since March 2017, the JSE Small Cap index is down 19.62%. At the same time, the mainstream media is bombarding investors with “Take all your money offshore now” messages. But there are groups of investors that are bullish as can be. And they're buying small cap stocks like there's no tomorrow. Who are these mega-bullish fools? JSE listed small caps are being grabbed up one after the other! First off –investors buying up loads of small cap shares aren’t fools. I’m talking about private equity funds, large international corporations, and industry insiders. These people are buying up listed small cap shares at unprecedented levels. I haven’t seen a ‘feeding frenzy’ like this in more than a decade on the market. Another analyst recently put it that the South African small cap market is the ‘cheapest equity sector in the world’. And it’s because it is this cheap that investors are gobbling up shares in the sector. In fact, they’re not just buying up individual shares any more. They’re buying up and de-listing entire companies! Takeover target #1, Torre Industries – Torre is trading at a 70% discount to its 2016 share price. The company produced around 10.89cps normalized earnings in the past year and its net asset value is 169c, compared to a share price of 126c! A private equity consortium including its previous CEO is targeting it. The company will be split up in two – and I am certain the new owners will get massive value from the deal – as even with a 40%+ premium they are offering investors for the share – they still get it at less than the book value of its assets! Takeover target #2, Interwaste - When Interwaste reported results in August this year it grew revenue by 24% to R595 million. Its earnings shot up 41%, and it generated R78 million in cash in a mere six months. And despite this, the company was worth a mere R400 million. That means anyone acquiring it, would acquire a business that makes close to R200 million cash a year – for a R400 million-acquisition cost on the JSE. Obviously if you are an international company with lots of cash available, this deal is too good to let pass. And that’s how this latest announcement of Interwaste came to be. A French company, Seche Environment, has made an offer to acquire the whole of Interwaste and de-list the company from the JSE. Seche operates in 15 countries, and acquiring Interwaste would form part of its move into South Africa’s waste and recycling markets. 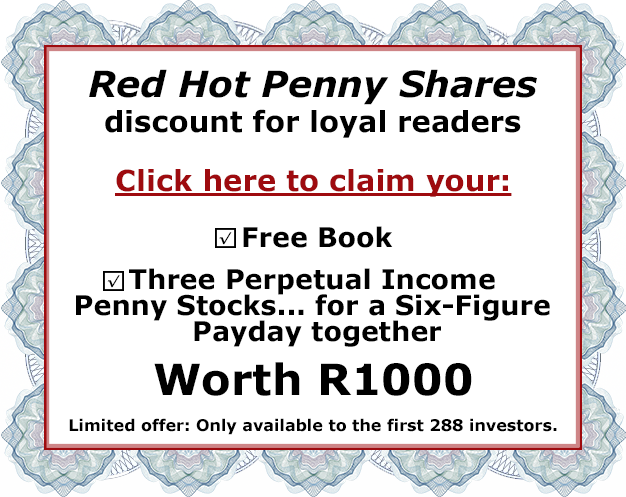 It is offering shareholders 120c per share, with the average price for Interwaste shares being around 86c before the offer. Takeover target #3, Clover – With a revenue increase of 8% and profits up 223.8% in June 2018 Clover’s PE of 8.7 just looked too attractive. On 19 October, the company announced that it is in negotiations with a third party that is interested in acquiring all of the company’s shares, and de-listing it. Not much more details are available now – but the deal is shaping as we speak. Savvy investors are working on deals with a number of other companies right now! As we speak deals are being penned to de-list Cargo (JSE:CRG), Verimark (JSE:VMK) and CSG Group (JSE:CSG) which is trading ‘under cautionary’. Then there’s a deal to de-list Universal Coal – and one of our very own (Wescoal) is part of the consortium buying up this company. I’m talking of companies like Metrofile, Wescoal, Sygnia, York, and CSG. The fact is, irrespective of what the mainstream wants you to believe about SA’s political situation there’s a bigger picture here. An investor that runs for the hills when the going gets tough? Or one with insight when some of the best bargains in a decade present themselves? 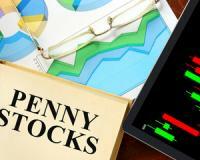 PS: I reveal in this FREE report: How to make big money in the exciting world of Penny Shares. Download your FREE report today!